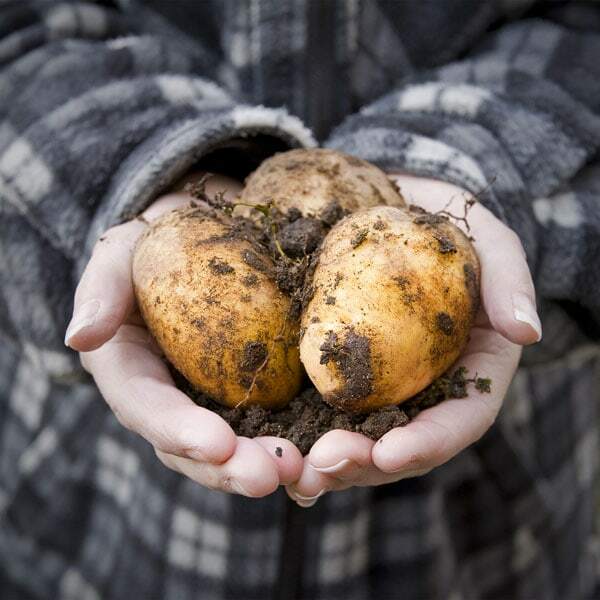 You could say, healthy garden soil is one of the major concepts of organic gardening. Feed the soil and the soil feeds the plants. Soil is the foundation on which your garden grows. 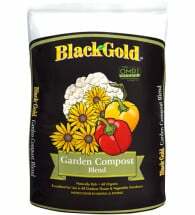 Its composition can help or hinder plant growth. Soil is composed of clay, sand and silt and the ratio varies from area to area. The type of soil you have also determines its aeration, drainage and water holding capacity. Air — yes, your soil does contain air. The amount varies by type of soil. Sand is highly aerated with clay being the exact opposite. Amounts of each of these components determine soil quality and whether or not your plants will grow and thrive. 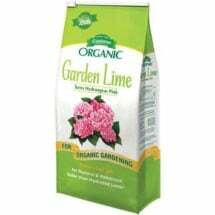 Ideal garden soil consists of 25% air, 25% water, 40% mineral matter and 10% organic matter. 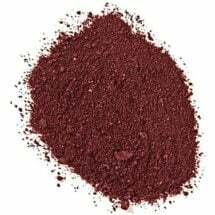 It is dark-colored, smells kind of sweet, compresses into a loose lump in your hand when moist and is chock-full of earthworms. As you already know, this almost never happens! You could say, building soil is one of the major concepts of organic gardening. Feed the soil and the soil feeds the plants. Healthy soil promotes strong vigorous plants that are more capable of resisting insect and disease problems. But what does your soil need? There’s only one way to know for sure: get your soil tested (see Guidelines for Choosing a Soil-Testing Laboratory – PDF). 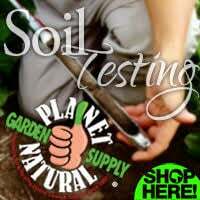 The results of your test will tell you the soil’s pH and what nutrients are in abundant or short supply. A soil test can cost anywhere from $10 to $40 per sample and should be done every two to three years (contact your local extension agent for a soil test laboratory in your area). Don’t want the hassle? Purchase a simple, yet accurate soil test kit that uses a “color comparator” and capsule system for under $20.00. 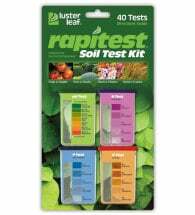 The Rapitest Soil Test Kit contains 40 tests (10 each for pH, nitrogen, phosphorus and potassium) and includes instructions for adjusting your soil conditions. Mixing organic material, preferably compost and natural soil amendments, with your soil is of great importance to your success as a gardener. 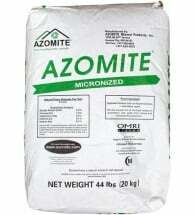 It improves soil structure, texture and aeration; helps maintain a neutral pH, adds needed nutrients for plant growth and allows the soil to hold more water which is a good thing if you live out here in the arid West. Soil amendments should be considered as an investment in your garden soil which will pay off year after year. When these organic materials are added, they not only act in varying degrees as fertilizers, providing a mix of nutrients to plant roots, but will also build the structure of the soil by increasing its organic content. 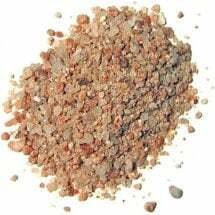 You can choose from a variety of soil amendments, like bone meal, greensand or Azomite, which are derived from natural sources and each suited to a particular need. The pH of a soil is one of a number of environmental conditions that affects the quality of plant growth. Plants can only absorb nutrients that are in water soluble form and if the soil pH is too high, or too low, the needed elements and compounds may remain insoluble or incapable of being dissolved (see Changing the pH of Your Soil). Most garden vegetables, grasses and ornamentals do best in a slightly acidic soil with a pH between 5.8 and 6.8. Within this range, roots can absorb and process available nutrients. Azaleas, rhododendrons, blueberries and conifers prefer acidic soils (pH 5.0 to 5.5). Increasing Soil pH. To correct acid soil, you add alkaline material (no kidding!). Doing this is called liming, probably because the most common solution is to add limestone. The finer the lime particles, the more rapidly it becomes effective. Different soils will require a different amount of lime to adjust the pH value. The texture of the soil, organic content and the plants to be grown are all factors to consider when adjusting the pH value. Click on the Limestone Calculator to determine how much lime you will need. Wood ashes will also raise soil pH. However, they break down very quickly, so use with caution. Over applying can cause serious soil imbalances. 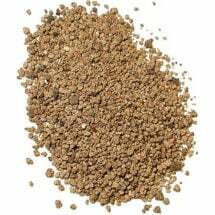 Finely ground Oyster Shell Lime is an all-natural soil amendment composed of… well, oyster shells from the seafood industry. Use to raise pH in acidic soils and to correct calcium deficiencies (contains up to 39% calcium). 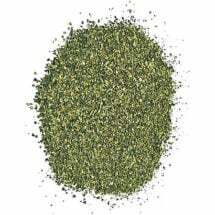 Apply 2-4 Tbsp per plant or 50 lbs per 1,000 square feet, depending on soil analysis and crop grown. Breaks down quickly and does not pose the health risks associated with hydrated lime products. Decreasing Soil pH. To correct alkaline soil, a source of acid is needed. Elemental sulfur is most commonly used by organic gardeners. 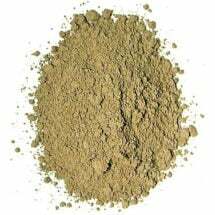 However, sulfur requires some time before it is converted to sulfuric acid with the aid of soil bacteria. This conversion rate is dependent on the particle size of the sulfur, the amount of soil moisture, soil temperature and the presence of the bacteria. As a result, it can take several months to decrease the pH value. Click on the Sulfur Calculator to determine how much sulfur you will need. Do not attempt to change pH by more than 1 pH unit per year. 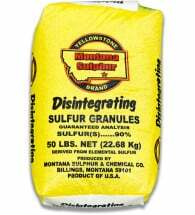 Approved for organic use, Yellowstone Brand® Elemental Sulfur or “split pea” sulfur lowers pH in alkaline soils and helps acid-loving plants to achieve optimum growth. 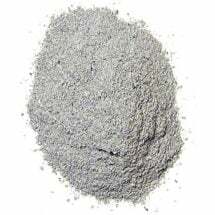 Use 1 Tbsp per 4″ of pot diameter or broadcast approximately 10 lbs per 1,000 square feet and work into the soil. Do NOT exceed more than two applications per year.